Bloom Khaos is Nectar for the Gods’ patent pending secret weapon for flower production and alleviating hidden hunger. When using Bloom Khaos as a foliar feed, one should notice more flower sites, larger, denser flowers, and superior color, flavor, and aroma. Bloom Khaos improves plant health and vigor while reducing stress at crucial times of the plant’s life cycle, such as: transplanting, flower transition, and prior to taking cuttings. 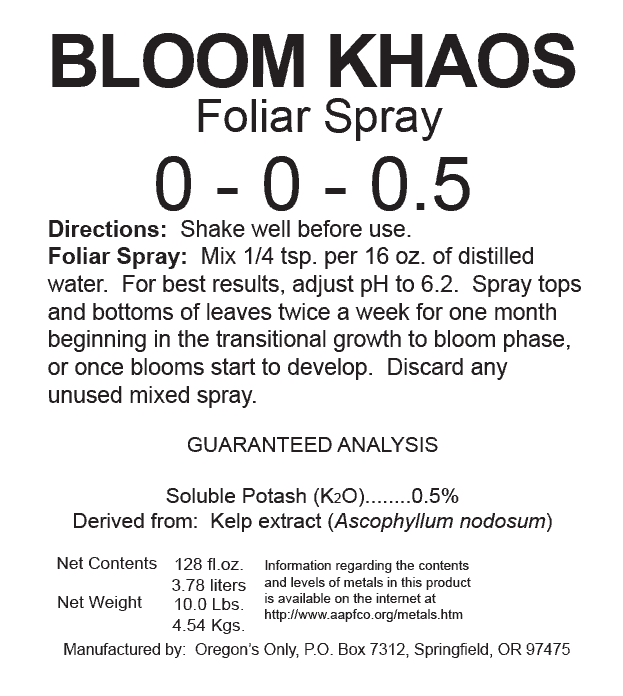 Bloom Khaos works best if used daily as a foliar spray in the early stages of growth and up to a few weeks into flowering. After that, it works well as a water-in additive. 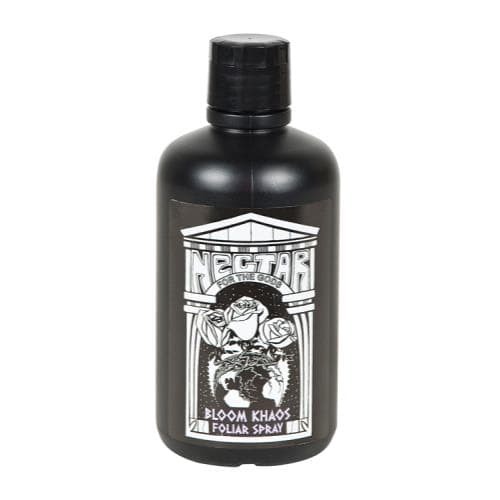 Bloom Khaos, from Nectar for the Gods, is a Kelp extract (Ascophyllum nodosum) based bloom enhancer. Early Bloom: Continue to foliar spray one(1) to two(2) weeks into Bloom. Mid – Late Bloom: 1 TBSP per gallon of water -or- 15mL per gallon of water applied to the roots. 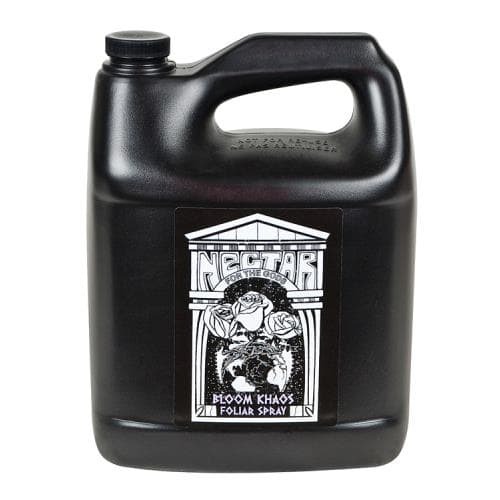 *DO NO USE THIS PRODUCT if you have not been using the rest of the Nectar for the Gods nutrients, especially the Demeter’s Destiny.